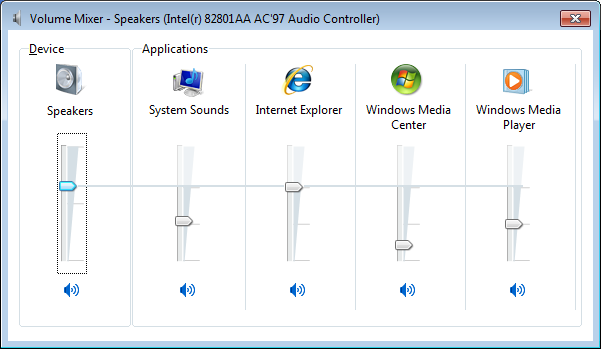 Windows 7/2008/Vista has a new feature that allows you to adjust the volume level of every application separately, by using the Volume Mixer utility that comes with Windows. But what about changing the volume level of specific application from command-line and without any user interface ? The new version of NirCmd (v2.50) allows you to easily set, change, or mute/unmute the volume of every application on Windows 7/2008/Vista. There are 3 new commands – setappvolume for setting absolute volume lever, changeappvolume for increasing/decreasing the volume level, and muteappvolume which allows you to mute/unmute the volume. In all 3 commands mentioned above, you can also specify a third optional parameter with the device name or device index that you want to use. When you don’t specify the device, the default output device is used. Posted by NirSoft on February 25, 2011 at 3:31 pm under Utilities Update. FirefoxDownloadsView is a new utility that displays the list of the latest files that you downloaded with Firefox. For every download record, the following information is displayed: Download URL, Download Filename (with full path), Referrer, MIME Type, File Size, Start/End Time, Download Duration, and Average Download Speed. You can easily select one or more downloads, and then save the list into xml/html/text/csv file or copy the downloads information to the clipboard and paste it into Excel or other spreadsheet application. You can also copy (With Explorer Copy – Ctrl+E) and paste the downloads list into HashMyFiles utility, in order to check the MD5/SHA1 hashes of the downloaded files. For more information about this utility, click here. Posted by NirSoft on February 15, 2011 at 1:34 pm under Utilities Update. DriveLetterView is a new utility that allows you to view the list of all drive letter assignments in your system, including local drives, remote network drives, CD/DVD drives, and USB drives – even if they are not currently plugged. It also allows you to easily change a drive letter of USB devices and remote network shares, as well as to delete a drive letter of USB device that is not plugged, and to export the list of all drive letters into text/csv/html/xml file. Posted by NirSoft on February 15, 2011 at 1:33 pm under Utilities Update. AltStreamDump: This utility is the console version of the AlternateStreamView utility. it dumps the list of NTFS alternate streams found in the current directory or in any other directory that you choose. WirelessKeyDump: This utility is the console version of the WirelessKeyView utility. it dumps the list of all wireless keys stored by the wireless networks module of Windows operating system. Posted by NirSoft on February 15, 2011 at 1:32 pm under Utilities Update. In the beta version of Firefox 4, there are some changes inside the cache files structure that caused to MozillaCacheView and VideoCacheView utilities to work improperly with it. In the new versions of these utilities, I made a few changes, so they’ll also be able to read properly the cache files of Firefox 4 Beta. Posted by NirSoft on February 6, 2011 at 11:22 am under Utilities Update.